So, as part of the new look Jaimie J website and brand, I decided I wanted a fun video showing off my work. Where to start? First find someone who makes video’s. That kinda just fell into my lap, working late one night at the salon, I was earwigging on a convo between David and his client Kabir. Turns out Kabir makes videos. Boom! Job one done. Next? Next was finding the right girl for the video, I decided to ask my beautiful and wonderful client Deimante. 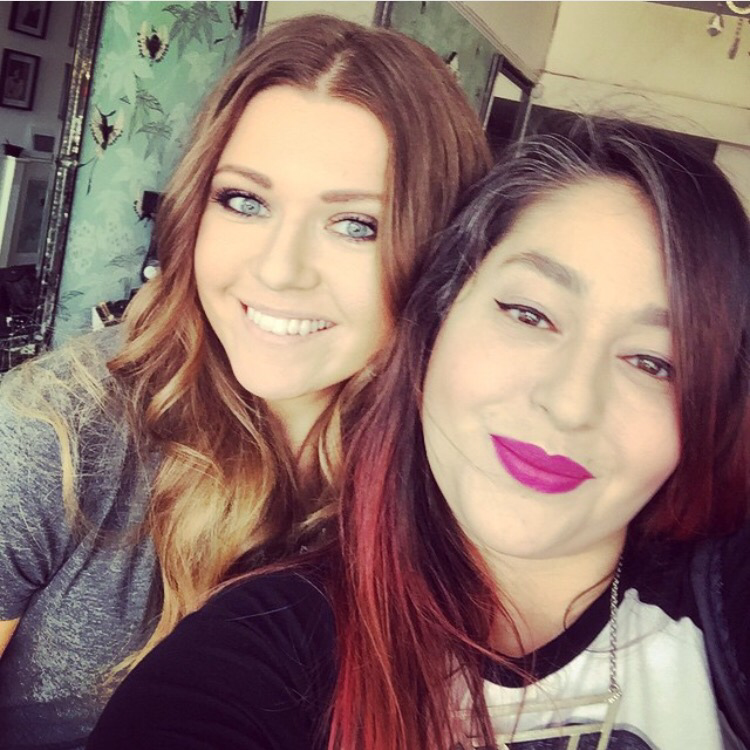 Deimante has always been happy with her Beauty Works hair extensions and she’s generally an all round super happy person. So I asked and she gleefully agreed. Job two done! Next was to decide on the location and the “storyline”, I decided I wanted a “girl about town” thing going on. 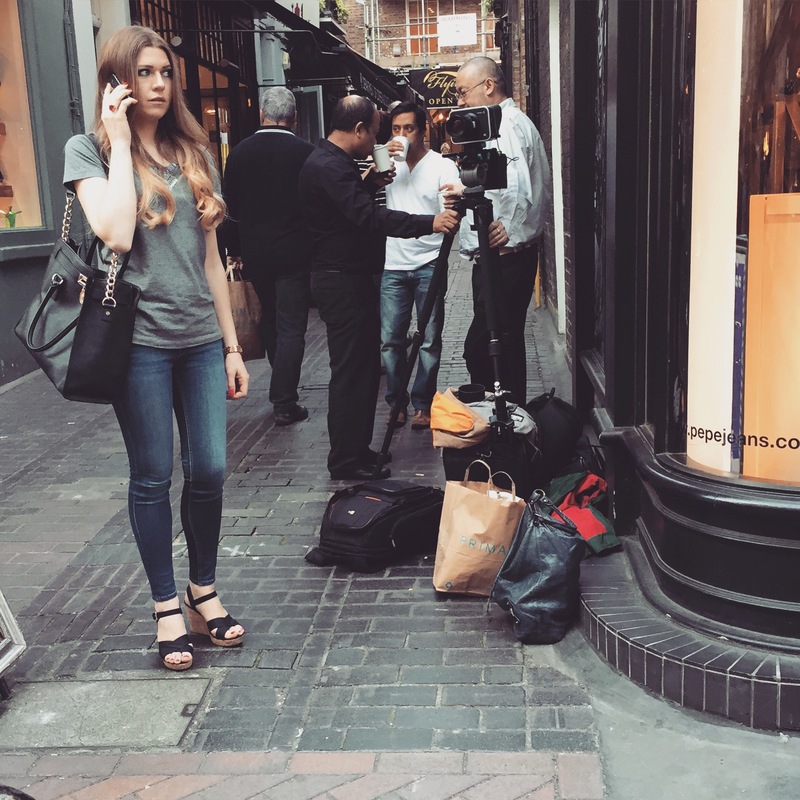 Kabir and I had a scout out of locations in Central London and Carnaby Street just felt right. Lovely backdrop no schlapping about – perfect. On the day Deimante came to the salon and I styled her hair and off we went. Can you believe it took 7 hours to make a 40 second film? It was super fun being a director for the day! All the passers by thought we were doing something for the telly, I even heard someone say their friend “I know who that girl is”, in reference to Deimante – which was hilarious. It was a long day, but it was awesome and I’m so happy with the result. I generally feel super fancy pants about it all!! Deimante and I at the salon before we head off.